It's a little-known fact that Connie Britton (a.k.a. 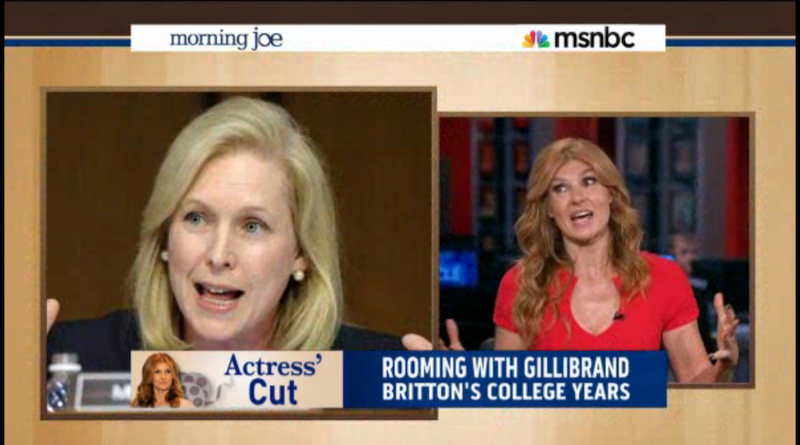 Rayna Jaymes, a.k.a Tami Taylor) was once college roommates with New York Senator and the awesome Kirsten Gillibrand. The pair shared a room one summer while studying Chinese in Beijing. She also talked a little about the hijinks they got up to, saying, "We were there over the summer, so we were there over Fourth of July, and the American embassy had a big Fourth of July party — and part of that was doing a lip sync contest, and Kirsten and two other girlfriends of ours did a Madonna song. Can’t remember exactly which one but let me just say, we won the contest!"